Is there a better alternative to AliveColors? 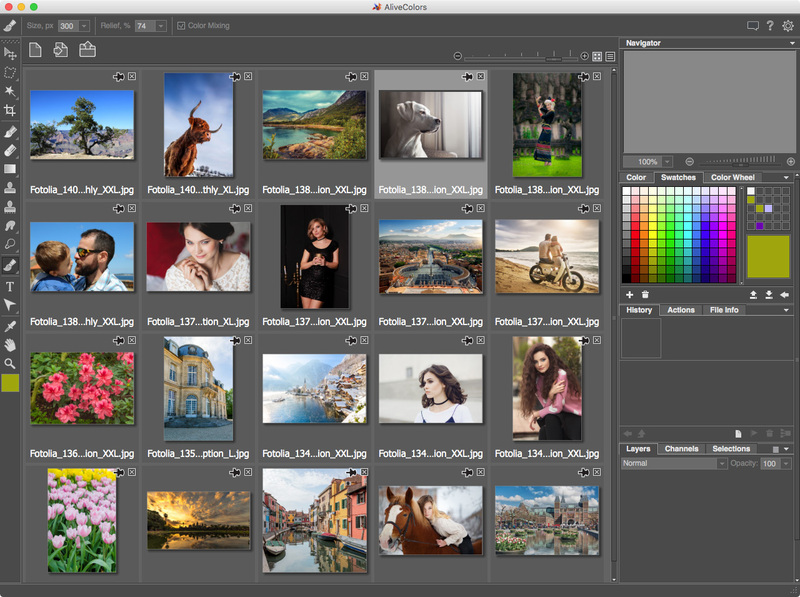 Is AliveColors really the best app in Photography category? Will AliveColors work good on macOS 10.13.4? AliveColors needs a rating. Be the first to rate this app and get the discussion started! 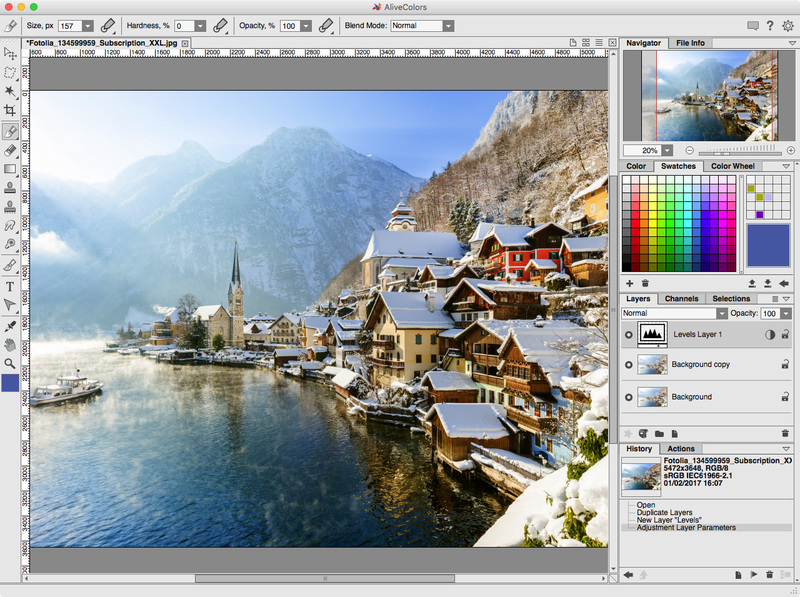 AliveColors is comprehensive graphics and photo editing software for Mac. This self-explanatory program is not only intended for professionals, but also for amateurs and beginners. 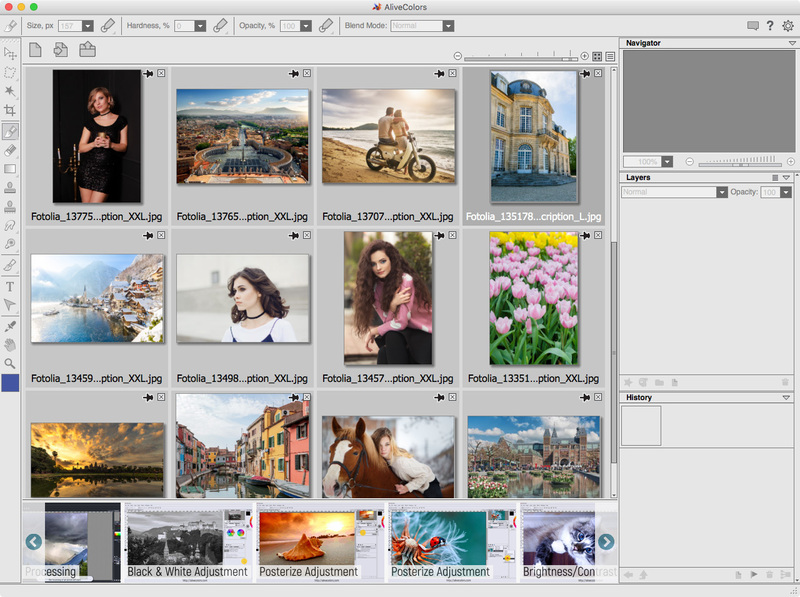 It offers a wide range of tools, adjustments, filters, and multiple effects, taking your photographs to the next level. 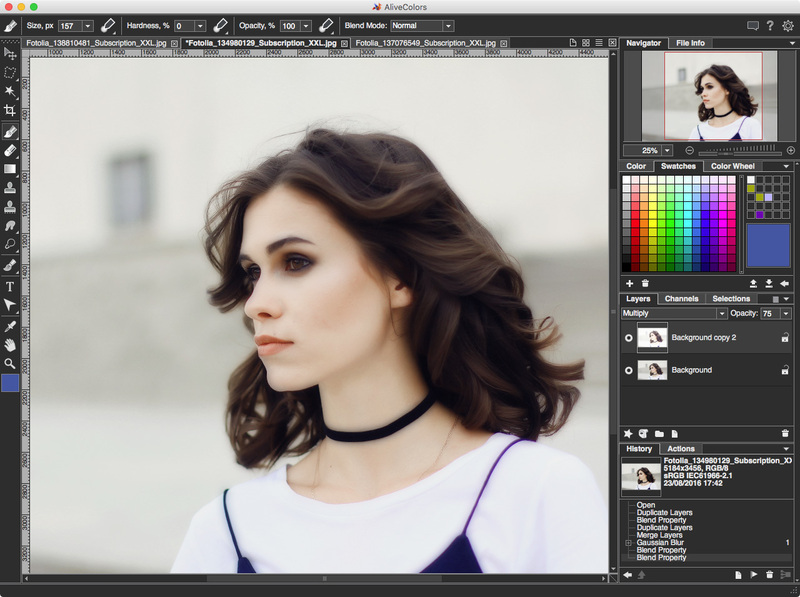 Along with the image enhancement features, the software provides users with artistic brushes and filters that allow them to stylize photos and create images from scratch. The program also includes easy-to-use shape tools which are indispensable for designing scalable vector-based graphics. Boost your creativity with AliveColors! Note: While the app is classified as free, there is limited functionality. To view the pricing options available, go here for more information. Incorrect displaying of the contents of a layer group with the added Stroke layer effect. Errors in the general blur algorithm. Incorrect positioning of decorations in the output area. Fixed possible crash of the program when applying a mask to an adjustment or shape layer. Incorrect displaying of a layer with a mask in the Layers panel when navigating through History states. Incorrect displaying of the alpha channel when navigating through History states.